Last Week: Overall I feel like I did pretty well leading up to my race and then carb loaded well (gotta love 1 day carb loads!). Since I was sick, I ate a ton of fruit since I was craving it which was healthy. This week: I plan on eating healthy and staying on track. I haven't been craving sweets as much which is good but with this cold still lingering, I don't get hungry often but then I always feel like I will pass out if I don't eat. Last week: Last week was horrible. With my cold, I couldn't sleep because I couldn't breathe. I finally found medicine that helped me sleep but on Friday I was so exhausted, I couldn't go into work. This week: I want to get back on track from sleeping. My cold is still causing me issues but hopefully it will go away so I can get back to my 8 hours of sleep a night. This week: I am finally getting back on track! Last week: well I was sick so I definitely wasn't well! I did however get back into the swing of things post Spring Break and got a lot of homework done which puts me on track to have a lot of things done early. it is crazy I only have 5 more weeks of school left for the Spring! I also had a great race and enjoyed a super quick Disneyland trip on Saturday after the race. This week: I have another race this weekend! My outfit and bag are all ready to go and it is the 2nd of 4 race weekends for me but my 1st of 3 with my boyfriend. I will write more about my race goals this week for the Santa Anita Derby 5k. Even better, the race comes with a free Derby ticket! It is also Easter which is always fun times! April from Run the Great Wide Somewhere, Erika from MCM Mama Runs, and Patty from No-Guilt Life. This week the topic is Dream Races. I don't use the word dream very often. People always talk about dream jobs, dream schools, dream races. Usually I just do what I want to do and then realize afterwards how much of a dream it was. I went to Penn for undergrad, USC for my Master's, at USC again for work and also for my doctorate. I would have never set up to say those were dreams of mine before they happen but they are dreams now! They are and were exactly where I wanted and needed to be at the time. I know many people have certain Disney races on their bucket list as their dream races, and I have been so lucky to run every rundisney race there is. Way back when I said the WDW marathon was one of the only fulls I would ever do and had not even run my first half marathon and now that I have done it along with Dopey Challenge (Expo, 5K, 10K, HALF, and Marathon part 1, Part 2) and Star Wars Rebel Challenge (Expo, 10k + Half), I really do realize now what a dream it all was (and how I am itching to do Dopey again!). Another "dream race" of mine has been the NYC marathon, I mean look at this picture!! It gives me chills and I am so excited to be running it this November with 50,000 people! The fact that I got in on my first try in the lottery makes this even more of a dream come true. I can't wait for this! NYCM 2015! However, I do have one dream race for sure and it is the Boston Marathon. It is the greatest known race there is and it has tough qualifying standards. My goal is to qualify for the Boston Marathon to actually be able to run it. I would love to do this by the time I am 35 but honestly whenever it would happen would make me ecstatic. I know I am a far away from that (I need to average about a 8 min mile for an entire marathon!) but I know I can keep working towards that. I have made good strides in my running over the last year and do think it I can keep working on it to get better and faster and stronger. It will take A LOT OF LUCK (so much can go wrong in a marathon especially things you can't control like weather) and I will need to find the right course and keep trying but I know I am capable of qualifying. What other races am I interested in? 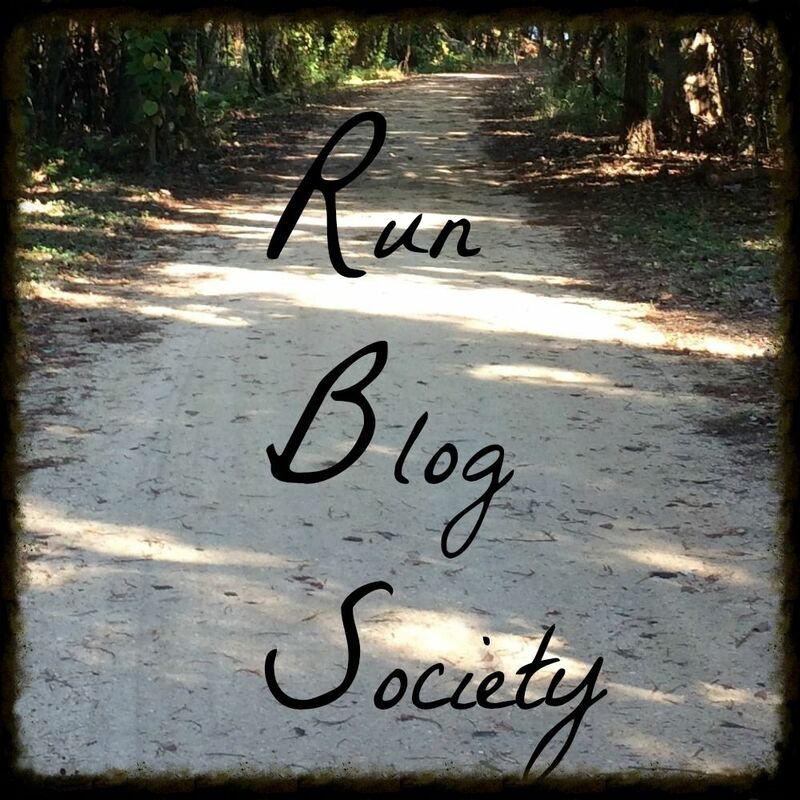 I actually have a list I keep on my blog, here is My Running Bucket List. I am excited to finally get to start crossing some of these races off of the list! So how about you? What are some races on your running bucket list? What races do you consider to be a dream? Over the weekend, I was able to get to Disneyland to see the Fantasy in the Sky fireworks. These are the fireworks right now until the 60th anniversary starts. I have already written about the fireworks that will be part of the 60th anniversary celebration and am so excited for that! For some background, Fantasy in the Sky was started in 1958 by Walt himself as a way to keep people in the park late at night (fun fact: cast members used to shoot off the fireworks themselves!!) The show originally played until 1999. Since then, there have been a few other Disneyland fireworks shows but they have been on a broad scale with fireworks shooting off around the park and other interactive elements. Now I had heard these fireworks would be very short (5 min) and also not a big event and a bit boring. I had actually been referring them to as "bad fireworks" since it seemed silly to head down for a 5 min firework show. However, I was surprised. They were very short (which i don&apos;t think most people were thinking since usually they are 15 min or so) and very basic (everything right behind the castle, no tinkerbell flying, no shooting off anyone else) but the actual fireworks were awesome. They had my favorites (the ones that pop a few times and my new favorite of ones that explode and change colors). We walked right up at 9:22 and waited just 3 minutes for the show to start. They had a small intro and then had music from Cinderella, Mary Poppins, It&apos;s a Small World and Zip-a-dee-doo-dah. The pictures I got weren&apos;t the greatest as the castle wasn&apos;t lit up at all so it was almost impossible to get a pic of fireworks and the castle. I would rather them have a short show like this then nothing at all! But i can&apos;t wait until the new firework show. I still haven't had any yet! Hi all! Linkup Friday!! Thanks to our amazing hostesses: the DC Trifecta Bloggers (Courtney from Eat Pray Run DC, Mar from Mar on the Run, and Cynthia from You Signed Up For What?!). This weeks topic is favorite spring foods! Since it was 90 degrees in Pasadena yesterday and will be the same today, there aren't really foods that I would cook special for Spring. But I am loving a few themed meals and things in season so let's get to it. Last year was a bad crop for them so I didn't buy many but this year has been great! They are bountiful in stores and I have been buying them each week for about 4-5 weeks now. I keep thinking I will get sick of them but I haven't! They have been so cheap (98 cents per package, 1.25 per pound) so I can't pass up a good deal. I've been buying at least 2 packages a week. A classic St. Patrick's day meal then I love. I make mine in a crockpot with onion, celery, potato and carrots and add the cabbage at the end. Sadly I couldn't find any on clearance after St. Patty's day but I'll keep looking. Easter is right around the corner and I can't wait to have ham next week. Last year I bought a massive ham and froze half of it. So this year I just have to cook it! I think I will stick it in the crockpot with some spices and pineapple among other things. I haven't had any yet! No Cadbury eggs nor peeps! I think I will need to buy a snack this weekend! That's it for me! What are some of your favorite spring foods? This recap has taken me a few days to the process everything. This is definitely not the race I had planned nor have dreamt about for over a year but it is the race I got. I think I have finally come to terms with it and am ready to move on. I'm hoping writing it all out will also help me process everything. This was my race, the race I wanted for redemption and to prove to myself that I can do a sub 5 hour marathon. The day before I did a 2 mile shake out run, did some errands, saw Cinderella, ran some more errands and relaxed and watched Back to the Future 2 and 3. I had dinner during the 3rd one and reviewed my plan and made sure everything was packed and laid out. I got into bed around 8:30. I slept until 4 and got up and got dressed, had breakfast, double checked everything and headed out at 4:45. I was up so early I left before my Sunday paper was even delivered! Got on the train with the other runners and got to union station at 5:30. Getting off the train I ran into one of my old student workers so we chatted and I gave her first timer tips! Met up with Devin, used the bathroom and we hopped on the bus with no problems and got to the start line with time to spare to check our bags. The bathrooms by the bag check were out of control so we walked back to where we were dropped off and used those with less than a 5 min wait (PRO TIP: use these restrooms as soon as you get off the shuttles, then go check your bags, grab a banana and water and head straight to the corrals). We then tried to head to the corrals and that is where mass chaos ensued. People couldn't get into the assigned corrals and then others were just trying to get into the open corrals and it was all a disaster with people climbing over barriers. Not to mention extremely dangerous. The LAM really needs to work on this because it was crazy!! We finally got into the open corral but nowhere near where we wanted to line up. Oh and can I also mention how there were no trash cans anywhere and with the high barriers there was no where to toss anything so you had to watch out for food, bottles, throwaway clothes and more to make sure you didn't trip. Very dangerous. While waiting we heard the national anthem and it started before we knew it! I could tell this was going to be INSANE! No one could get to their projected pace so when we finally started, it was just a wall of people. Also it starts on an incline which doesn't help either! I started running but soon realized there was no point so I just walked for the first 2-3 min. Eventually with the downhill it spread out but still was all different speeds. The Marathon really needs to think about putting everyone in corrals. An open corral of about 16,000 people is a nightmare! All things considered, this is a fabulous course that takes you to all of the major landmarks in the city. After leaving Dodger Stadium, we head over to Chinatown and hit the mile 2 marker with our first water stop and fabulous chinese drummers. The water stops were all a bit strange-some were longer than others and it was hard to judge where the water and gatorade were (common sense would say that gatorade would be in the Gatorade cups and the water would be in the water cups. sadly that did not happen). I had debated when I would start pouring water on myself and then I realized I should probably just do it the whole time. So starting at water stop 1, i would drink water and pour some on my head and back. I was feeling fine and really using the downhills to my advantage. We continued through Little Tokyo and through downtown past the LA Times building, city hall, and then up the huge 1st street hill next to the Walt Disney concert hall. Around this time Devin ran into me again and we decided to just stay together the rest of the race. We had decided would we walk the up hills and run the downhills. Did I mention this course is pretty hilly? After downtown we went through Echo Park (the lake is really gorgeous) and through Silver Lake. Silver Lake has great crowds and I used their energy to fuel me. Here we saw a few friends that gave us gatorade and bananas and we continued onto Hollywood. On Hollywood Blvd, we decided to take a pee break before mile 10 at a port-o-potty line with 5 people. Unfortunately, this took over 5 minutes! We knew it was important to stop as we had been drinking at every water stop. Running through Hollywood is fun and right after the Chinese Theater, we turned left to head to Sunset Blvd. Around this time, and also later on the course, Red Bull was handing out full cans. I understand that they are sponsors but I feel like it is not the best to to offer energy drinks on a course. Many people around me were also concerned, especially when they don't have a sponsored food stop! Up until this point, I had been fueling every 2 miles and also taking water and gatorade at every stop. I was also taking water and pouring it on my head and body. I was determined to keep my body cool even though it had not been that hot yet. We passed the halfway point and that is where things got off. Remember all of the talks of having water every mile? Well that started to not happen around this point. The water stops were not every mile and were more like every mile and half or more. I also think I started doing math here and realizing that even though I forced myself to pee at mile 10, i was not that hydrated. I wanted to take in more water but my stomach felt full and I felt good so I took in as much as I could. Around this time is also where the "misting stations" were. In reality, these were water hoses or fire hydrants opened for spraying. They were great for cooling off. On Sunset is where the halfway point was and I once again enjoyed watching the charity exchange. Sunset was not being kind to us as the sun was starting to come out, the hills were in full effect and there was a lack of shade. We soon made it to the downhill of San Vicente into West Hollywood and Beverly Hills. West Hollywood had pretty good shade and it is one of the last water stops I remember. After that, we went about 1.5-2 miles without water, without shade and people starting to struggle. Somehow my body still felt strong, mentally I was still in it and my legs felt fine. Even though I could tell it was getting warmer, my body wasn't feeling hot. Let me take a second to thank all of the spectators that were out. THEY WERE BEYOND FANTASTIC!! So much food, gatorade, water and everything else you could ever need. However, this was during the water dessert and really all I wanted was ice. We went to a few tables here and were DENIED. With other people. I am sorry but that is just not in the spirit of what the marathon is about. FINALLY we got to a water stop with a med stop and ICE. I put ice under my hat and continued into Beverly Hills towards Rodeo Drive. This is where Devin and I lost each other. :( He got split up and could never get back together (all of the water and gatorade was also on one side of the road so it made for a zoo as it had been too long). Around this time is where I saw people start to fail. People dry heaving onto sidewalks, people sweating like crazy and I was getting worried. I kept fueling with my Clif products and kept drinking water or gatorade. my plan was to hold on to my pace as long as I felt good. I figured around mile 18 or 19 I would split my interval and then if I wanted, I could go down to :30 sec running/:30 sec walking. the important thing was just to keep going. Towards Santa Monica I ended up with some shade (yay!) but also behind the KTLA news van filming people which really slowed things down a lot. trying to get around them was really hard! We turned onto Santa Monica Blvd in Century City and this is when I started to feel the heat. I knew more hills were coming with no shade. We were approaching mile 18 and I decided to split my interval to keep my legs feeling fresh. I was fine until closer to mile 19-my calves started to cramp and I decided to stop and do some stretches and also some hip flexor stretches as my hip flexors were a bit sore. I was still holding on and Roar came on the playlist and it was just what I needed. I just needed to hold on. Around this time, I realized that my sub 5 was probably in jeopardy and I really came to terms with it quickly. It was miserable and I wanted to get done. Even if I could PR in this, I would be beyond happy. I had some more fuel from the clif station and was really feeling the heat. I decided to walk a full interval cycle to give my legs a rest. I was getting frustrated. My mind was there, my body was there, my calves were cramping. Around this time we were ending the craziness and I knew once we turned on Sepulveda, there would be shade before hitting the VA. I finished an interval and started to walk as I turned Sepulveda and realized that was it. If I ran anymore, I had for the first time in my entire life a feeling I would collapse. I knew my race was over. I texted Devin to see how he was doing and he said his legs were done so I called him and we chatted (he was about a mile behind me at that point). I then called Ralph to tell him I was done (I had texted him at mile 11 and 14 that I felt great and then mile 18 when I was struggling where he responded "where you are going, you don't need roads, you got this!)) and that I needed to walk it out. He reminded me to take my time and just finish and that he would pick me up whenever I was done. The level of disappointment I felt walking through the VA was just immeasurable. I was hoping that if I walked for a few miles I would be able to pick up the pace to at least PR but the farther I went, I knew it was not good. I even tried every few minutes to run but knew my legs would not be able to support it all. In all honesty, if there had been a med stop where I first felt bad, I probably would have stopped there. I knew these last few miles would require me to dig deep. Honestly while walking I probably should have taken some of the salt that was being handed to me but even gatorade made my stomach kill. My goal was just to finish! Miles 22-26 are all a blur. I turned off my power mix and listened to frozen and disney music (it always makes me feel better) and took any and every water I was handled. What helped me feel better was COLD ICE WATER. I could finally tell how dehydrated I was. I was drinking everything (multiple cups of hot water at each water stop) and peeing every set of portopotties I saw-I think 4 pee times in 6.2 miles. Some were even fancy and labeled men and women!! I tried not to think about what was happening around me. I knew my dream redemption was shot but I tried to focus on all I have done to that point and how much worse shape I could be in. As we turned towards the ocean, people took off. I knew I wanted to but there was no way I could. My goal was to just keep walking (I kept having to stop and stretch my calves), sprint through the finish line if I could, get my medal and go to the medical tent. Heading to the finish line, I noticed a girl next to me really struggling. I decided to be her encouragement to the finish. She said her legs were spazing and she could barely feel them. We chatted for the few minutes it took us to get to the finish. Her name was Serena and it was her first race and she was running the second half of the charity relay. We just chatted up about our lives and I told her when we got closer, we could sprint and then head to the medical tent together. and that's exactly what we did! My finish line pictures from marathon foto-I AM SMILING. yay for me! I was able to sprint for all of 20 seconds haha. I finished in 5:48:53, only 2 minutes off of my PR from last year. oh medical tent. I practically had to beg to get in and then they gave me motrin and I started shaking and feeling nauseous. I was pretty much having a panic attack at the same time as I had no idea what my body was doing. I tried to stay calm and just explained what happened. One of the best doctors ever came and explained to me what was happening in these words-You just ran a marathon in 93 degree weather. You are dehydrated. Your body is going to start shaking as a way to regulate its temp and also get the lactic acid moving. You will get cold. Cover up and lay down but make sure to stretch and keep yourself from getting too tight. <--some of the best advice I have ever received. I was given Zofran (which could be the best drug ever!) so that my nausea would go away so I could drink water and fluids. I laid down on a cot but couldn't sleep because I had to pee so bad. I figured it was a good sign with all of the fluids I had over the last 6.2 miles. No one knew where the bathroom was so they were finding me a wheelchair. Well turns out IT WAS 20 STEPS FROM ME BEHIND THE DOOR. so off I went and felt so much better and went back and laid down and took a quick 20 minute nap. Afterwards, I felt amazing. Seriously the entire walking period all I wanted to do was sit down and take a nap. I had some more water and a banana and off I went. Being in the medical tent really put things in perspective-people passing out, throwing up, it was a bit of a mind trip. I was able to call my parents and tell them what happened (yeah don't call your mom who is a nurse, and when she doesn't answer, text her and say you are in medical) and was able to get to the runner drop off area for my boyfriend to pick me up and we went to celebrate with mexican food that I could barely eat. I changed in the car and with the traffic so bad we actually stopped at a wendy's so I could pee and i got french fries. those were delicious! later that night I finished my food and ate more and celebrated with a glass of wine before passing out at 8:30 pm haha. Looking at my splits was hard. So hard. I had a solid 20 miles in the crazy weather. See my splits below from 1-20 and then 20-26. 2 totally different races. The first 20 miles I ended up averaging 11:13. If I could have kept that pace for 6.2 more miles, I would have finished right around 5:00 hours. Seriously once I looked at my splits and my pace, I broke down and cried. It is so heartbreaking to me now to feel like my body just gave up. However it was HOT. probably too hot to be running. My body held on as long as it could. (note: it is 5-6 min off. I pause my watch when I stopped for the bathroom or extended stretch breaks to not mess up my running pace. I factor that into the end). What could I have done differently? I probably ask myself that question 10-20 times a day. and honestly, there is not much. I could have gone with a shorter interval (maybe 1:50 or 2:00) or had longer walk breaks. I could have made myself drink more water. I could have maybe had more food. But honestly I don't know how much of a difference it would have made. and I am finally okay with that. I can't sit here and do a coulda,woulda,shoulda forever. I gave it my hardest. I tried my best and I honestly did the best I could do. Helping to reflect back on how far I have come compared to last year, all I have accomplished this year (Dopey Rebel!! 3 races at Princess!! PRs of what I would have considered my wildest dreams), I am proud of where I am. and I know it is okay to be sad or upset or whatever emotion I am feeling. What I have to do is not dwell on it now and to use it to fuel myself. To know what I am capable of. To know that my sub-5 will come, that I will have better races with better conditions. And also to know that I will races with really bad conditions again. All of this is the making of a strong runner and a stronger person. So what's next? Well recovery. I am more sore than I have ever been so I I'm trying to eat right, sleep and take it easy without it being too easy. My next race is this weekend! Eek! And that begins the 4 weekends in a row of racing but I'm not worried. Next week is a 10k, followed by 2 5ks which I will use as speed work and then a hilly half marathon that I'm starting to dread, especially because it covers the part of Sunset where things started to fall apart. I am dreading it but I want to go in strong so I can prove I can tackle that crazy course. So there it all is. Not the race I planned but the race I got and I'm very proud of all that went into this race. I got a great 20 miles and it was some of the strongest I have ever felt in a race. The heat and lack of water when the sun came out did me in. It is what it is. I learned a lot and will be taking it all into account as I train for the New York City Marathon. So this post was insanely long so thank you for sticking it out with me. For others that ran, how did your LAM go? Have you ever run a race in extreme race conditions? This weekend I am racing the Great Race 10k. It is actually called the Old Agoura Hills 10k and is a part of the Great Race. The Great Race consists of the Deena Kastor 5k, Pacific Half Marathon, Chesboro Half marathon (trails), the 10k and the greatest after party around. It has been ranked as the best 10k, best half marathon, and best after party in the whole USA by Runner's World. Last year I had a fabulous time at the whole event so I am excited to experience it with Devin and Brian. We are heading up on Friday night and having a great Italian dinner before checking into a hotel. The hotel has a free shuttle to and from the start line (which is great because the parking is crazy!) and I am excited to relax in a hot tub after running. This race is INSANELY hilly (the last mile is killer) so i am not going for a PR. My current PR was set on a very flat course so this is not the place to try that, especially with this being the first of 4 running weekends in a row. I am going to go for a course record for me and really work out on some hills with the Sunset Strip half coming up and also the NYC Marathon. This is what I would really want to do on this course. It is challenging (hills, a bit of trails and finishing in grass!) but I think it is a good kind of challenging. this was the race where I first went under 1:10 so I want to at least see improvement over last year. I will be running at the same interval as last year (2:10/ :30) to see how I compare. This would be around an 11:00 mile pace and would still show I am working hard on the course. You never know what could happen. It is supposed to be pretty warm this week but with lows in the 50s. My leg may act up or the hills may not feel right. My plan right now is to shoot for a 10:30-10:45 minute mile for the first mile so I don't go out too fast. After that, I want to hang around 10:15-10:30 and then give it all I got on the hill. Last year my strategy was to go up as much of the hills as I could and then walk up the rest and run down the downhills no matter what interval I am on. It worked well last year so I hope it will work this year. Not going to lie: after the LA Marathon, my confidence is a bit shaken. My calf has been acting up and sciatica is flaring too so i am trying to hold it together. I think KT tape will help as it will keep everything stable. I want to do as well as I can on this course to really try to overcome some of the mental battles I have been playing in my head. Even though I am excited to race a 10k (it has been since December), I am even more excited for the after party and all of the food!! Are you racing this weekend? When is your next race? April from Run the Great Wide Somewhere, Erika from MCM Mama Runs, and Patty from No-Guilt Life. This week's topic is Favorite Race Signs. Race Signs keep me distracted and also smiling while racing. I really do love creative signs. Here are a few that I have seen in the past that I really like. The first one is from the Disneyland half in 2013 (my first Dumbo!) it was insanely warm which is why you see the person spraying water. The next sign I saw variations of it all over the LA marathon course and it always made me smile. I saw a variation of this sign on the LA Marathon course and it really cracked me up! How about you? What creative signs have you seen lately?